Here’s a quick look at the painting I’ve just started; needless to say, it’s still in the planning stages. 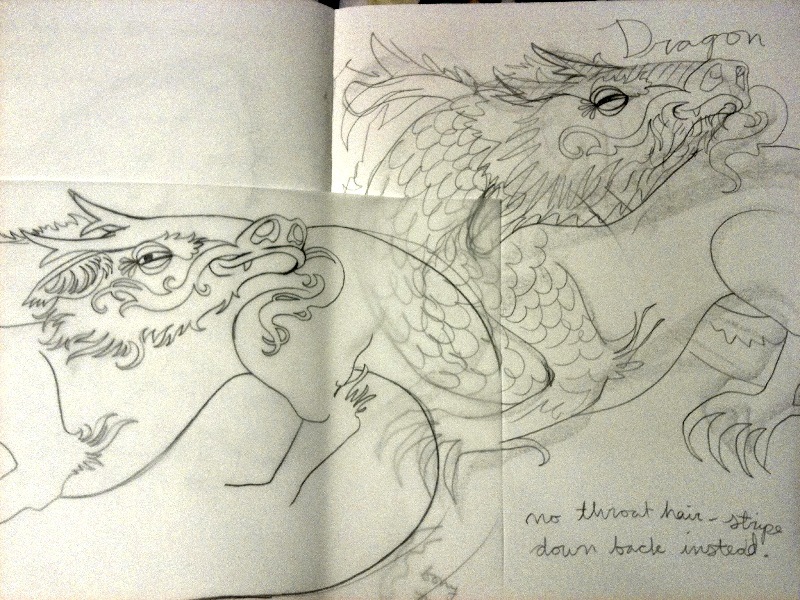 Dragons, especially Chinese dragons, are one of my favorite things to draw. I’m excited to take on this mass of fur and scales! And yes, I leave notes for myself all over my sketches.